When you hear the phrase ‘Membership Site’ what do you first think of? I’m guessing it’s something along the lines of ‘something you pay for monthly in order to get access to information’, or simply ‘a private members area’. Whilst those are both correct there are actually many other ways a membership site can work as well, including delivering an online course or creating a thriving community. The thread that holds membership sites together, no matter what their structure, is usually the need to pay for access to something exclusive. Aside from that though there are a variety of different models that you can use for your membership site, depending on your topic and goals. 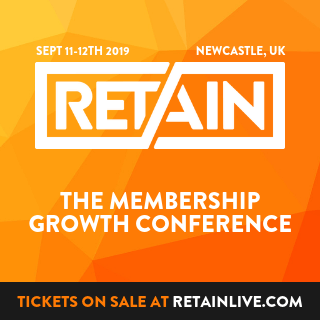 Whilst you can essentially create your own membership model, as we talk about in Which Membership Model Should You Use? There are several that are more common and that make up the majority of the membership sites that you will see. This is perhaps the best known membership model, and involves a monthly payment for access to a private members area with new content added each month. Content is ‘drip fed’ at regular intervals, keeping you coming back for more. With this model there is usually a set structure whereby no matter when you join you go through the same delivery of information – so Month 1 info can be accessed initially, Month 2 is released 30 days later etc whether you join in February or July. As a result you will have members at all different stages of the process – unless you only let people in during certain periods so that everyone is on the same page (so to speak). Unlike a drip feed model, this type of membership site gives access to everything straight away, which is great for impatient people like me who don’t like waiting for the next piece in the puzzle. This could be access to all of a course, all of a product, or even access to all of your products, as soon as you sign up. This model can work either on a fixed fee upfront or a monthly payment basis – in order for the monthly payment to work however it’s a good idea to be providing something (i.e a forum or bonus material each month) to keep people from just downloading all your product in the first month and then cancelling. A membership site is a brilliant way to run an online course, keeping all of your information safe behind a private membership wall. Courses could be modular (similar to the drip feed module) or upfront (have all the content available immediately to work through at your own pace). It could be an evergreen course that people can join at any time (usually good for standalone courses that have no interaction with the creator), or run at certain times (so that everyone works through things together). You could even have certain activities or tests that need to be completed before the next module or lesson is released. Courses are usually sold at a fixed price, but this may be paid all at once or in installments. Social websites are becoming more and more popular, and are easy to create with the proliferation of membership, forum and social plugins out there. Community sites generally work best when focused around a specific topic – such as funny cat pictures (because who doesn’t enjoy those?!) – that unites the community. This kind of membership site has a fixed membership period (this could be anything from 7 days to 12 months), and at the end of that period of time your commitment and membership is over. For example a 28 day detox programme may use this fixed term model, as would a 12 month Mastermind programme. A fixed term site can be similar to an online course model, but may not have a course structure to the information provided. Payment will usually be monthly for the length of the membership, or upfront if the fixed period is only short, after which you may or may not have lifetime access to the information. The main difference between this and other membership models is that you know exactly how much time you are committing to. Frequently we may see a digital product being delivered via a membership site, either as a protected download or protected online content. It might be a simple case of paying for the product and being emailed a login which then allows you to download the product, or it might be that the product itself is stored behind the membership portal – videos that need to be watched online for example. This kind of model usually has a one-off cost and the provider will frequently have more than one product on offer. This is the opposite of a product membership, and is purely based on delivery of a service. Examples of service based memberships are coaching programmes where you receive a set amount of coaching per month, perhaps with online elements as well, or design sites where you get a set amount of design time each month. Whilst you can run this without needing a membership website, they often work best when the service is accompanied with a private area for online tools, such as worksheets or information notes. As you may have guessed, this membership model is a hybrid of different membership models, set up in a way that suits you and your members best – an individual model based on combining the other models that you like. For example a site that combines a course with a community plus core information interspersed with new content each month, and maybe even some products thrown in there for good luck too. Whilst I’m not advocating that you over complicate things and try to do a bit of everything, it may be that none of the above models are perfectly suited to what you want to achieve. Which is fine because these aren’t set in stone, they are just a guide to what is possible. Mix and match to your hearts content and create a membership site that is perfect for you. This is what we’ve done over a the Member Site Academy. It may be really clear which of the above approaches you wish to take with your site, or there could be a variety of different ways that would suit your particular offering. If the latter is the case then I recommend taking a look at what people in similar businesses are doing – if other membership sites exist on your topic, how are they typically run? You can choose to either go with the pack or make yourself stand out by choosing something different. 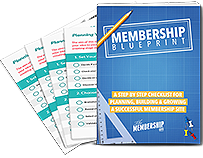 Access your “How to Create Your Membership Masterplan” course in the Member Site Academy. 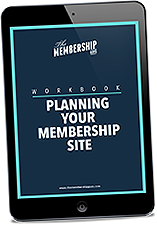 Discover how to go from having lots of ideas to creating a practical action plan for your own successful membership website.